Last night I finally got to try out the HTC Vive at Bossman's house, in preparation for it's arrival at LAN Mob for all of YOU guys to try! To be completely honest, I was very skeptical about VR on 3 main fronts - health risks, quality titles and probably above all else, will it actually work the way it is intended to? I'm happy to report from the perspective of a skeptic that the HTC Vive is the real deal and I was colored impressed. 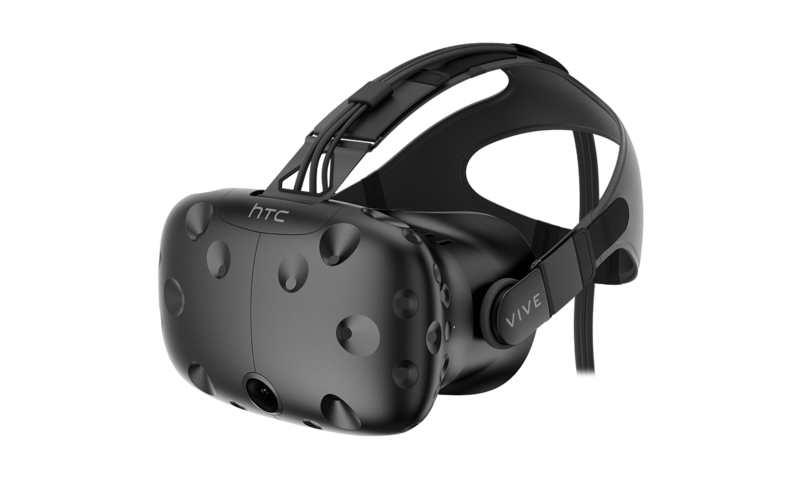 To anyone unfamiliar with the HTC Vive, the main hardware here is the headset. Utilizing "Room Scale VR", the Vive headset is very cool looking, with multiple sensors littered on the face of the mask, informing 2 separate base stations of the headset's position inside of the designated "VR Zone" (so to speak). The worst part about the headset is the wires protruding from the back, but as long as the user is aware and controlled, it isn't even a problem. The Vive has a small knob on the right side of the mask which will move the lens closer or farther apart so it can be customized to different face types. I found the headset to be incredibly comfortable, resting mostly on my cheekbones and nose, The headset also doesn't weigh that much, never feeling like a burden. I will say, it is incredibly important to utilize the knob on the right to customize to your liking. Things got a little blurry when I wasn't synced up. 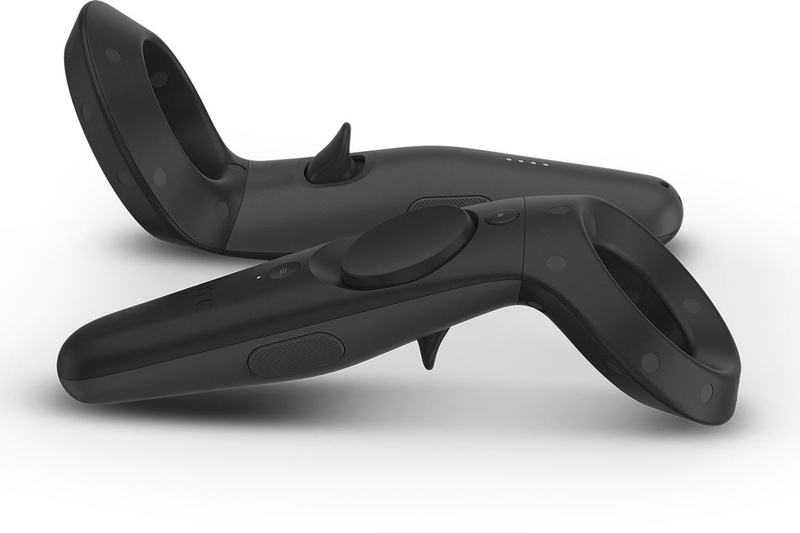 The Vive controllers are sleek and well designed with a clear indicator on each wand portraying what hand it belongs in, making it easy for the user. The tip of each wand has multiple crater sensors just like the headset does, making movements completely lagless. Each wand is equipped with a very natural trigger button, grip buttons on either side of the wand, and a face touch pad, very similar to the PS4's. The menu buttons are on the top of the wand, which is an excellent spot so they aren't accidentally pressed, breaking the immersion. I cannot even begin to fathom a better design for the Vive wands, everything feels so natural all the time. For example, in a program called "The Lab" designed by Valve, there is a game called "Longbow" in which, as you may have guessed, you fire a longbow! Without reading the tutorial for this specific game I saw the bow, bent down and picked it up, and naturally began firing it. Using the trigger button as a arrow release, the rest was all motion controlled and my body just knew what to do. Assuming all the hardware is taken care of (here at LAN Mob...) the main interaction will be the user and software, and this is where the magic happens. Like I said, one of my main concerns with virtual reality is risks. Obviously, with great technology comes great responsibility but putting on a headset and running around your house chasing dragons is just asking for an accident to happen. Naturally the Vive has a system set in place to make sure the experience is safe and you are aware of the "real" world. Utilizing a "Chaperone" system, unique to HTC Vive and it's Room Scale VR, the Vive will create a border in the virtual world, making it very clear and obvious of where the pre-set "VR Zone" is. These borders appear when you get a little too close to them, and make you subtly aware you need to readjust or turn around. The only thing the Vive doesn't hold your hand on is the fore mentioned trail of wires coming from behind the headset, but it is up to the user to be responsible, careful and aware. Once you're in the VR world and you understand the very generous rules, enjoying yourself takes precedence, and it's pretty easy. Addressing my third concern, there are definitely quality titles available. I spent all of my time in the virtual world in Valve's "The Lab". A collection of what is essentially mini-games that really give you a sense of the Vive's precision and capabilities. There are a variety of games available in The Lab, such as educational exploration of the solar system, exploring a human body medical scan and visiting places all over the world, such as France and Greenland. "Longbow" is a game that really stood out to me. Using the wands to fire simply a bow and arrow you defend a castle gate from an onslaught of little monsters intent on destroying it. No words or image can really do justice to what it felt like to stand on top of that tower, looking over a mote riddled with enemies as you fire your bow at them. The best I can say is despite the less then perfect graphics, the blatant and absolutely pure immersion is something that cannot be replicated. The last game, and my favorite, that I played in The Lab was called "Secret Shop". I've never played a lot of DOTA 2, but this program drops you dead center in a small fantasy themed specialty shop with a plethora of DOTA references. Exploring the shop and finding small creatures and touching things I shouldn't was beyond incredible and I am very excited to explore it again. I played with a lizard dog, shrunk down to the size of a thimble (and got scared of a freakin' giant spider), peered into a spooky forest and ultimately met my demise to a beast who ripped the entire shop apart. I recommend the adventure. My main goal in gaming is immersion. Always has been. I frequently judge games by what level of immersion I'm capable of reaching, if I give it my all. That being said, the HTC Vive set a bar for me. As far as immersion goes, this is the real deal and when the technology continues to grow and refine the experiences we will be capable of having will be unreal. The price tag on a technology like this is obviously very high, but LAN Mob will be booking time slots at a much more realistic price. I personally couldn't be more ecstatic to help people have a genuine immersive experience with a technology that isn't readily available to the public. Trust me, it will completely blow your mind and surpass expectations. With our support staff comfortable with the Vive and how it works, we will be THE place to give VR a try without selling a kidney this summer. 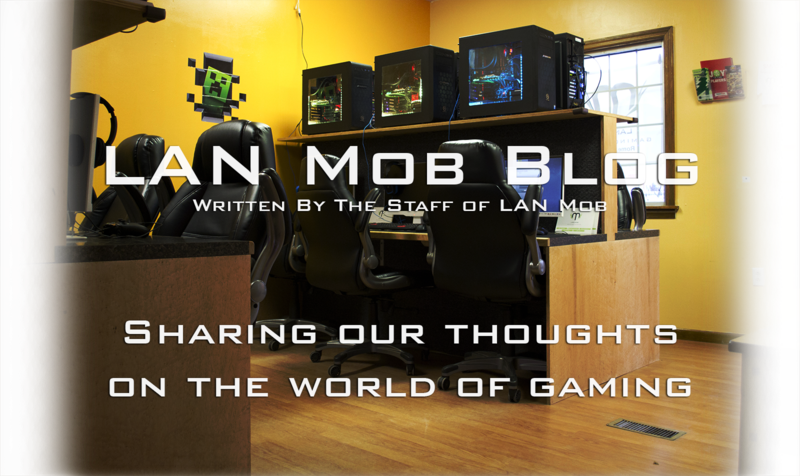 What does LAN Mob mean to me?